With sincerity and hard work of our professionals, we have carved a niche for ourselves in this domain by manufacturing premium quality gamut of Office Cabinets. 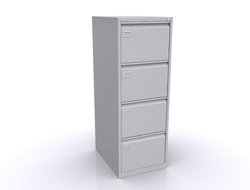 Mercury Filing Cabinets are robust and aesthetically designed to fit in an Office space. 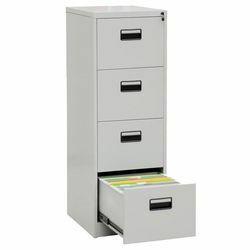 The Vertical Filing Cabinets come in Two drawer sizes to store A4, Legal or Letter files. This kind of office cabinet has twelve racks. The left side of this cabinet is designed like a cupboard with four small racks on the bottom and six open racks on the top. This neat looking cabinet helps our clients to store some considerable amount of files. Our range is widely like by our clients. These are offered in the color of light brown and are offer at a competitive price range too.